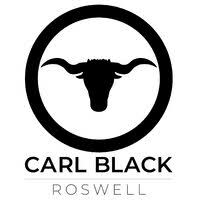 Sorry, we couldn't find any Carl Black Buick GMC of Roswell listings that matched your search criteria. Call for price of yellow PT Cruiser, the female representative informed me she would have to speak with her supervisor and give me a call back with the price of vehicle. 2 days later she left a message returning my call but without giving me the information of the price of car. I then received my last phone call/message put still no price of the car. I am still waiting on the price of the car! Generic response, did not answer my questions. Followed up with false statements about trying to contact me. Had a wonderful car buying experience at Carl Black! The entire team was wonderful! Bought my truck from here in November 2018. Salesman was great to work with and overall I’m happy with the deal I got on my truck. Salesman and manager provided excellent service. Gave us a fair price on our trade in. Great experience, in and out in an hour. Purchased vehicle. We ended up buying the vehicle we found on CarGurus. It was a fast and easy transaction. We would purchase from them again. very unprofessional experience. made appointment for 11am, arrived at 10;40am only to be told vehicle was not on the lot. released to another customer and that it may be back on lot in the afternoon if it wasn't bought. invited to stick around if I wished. I had driven 90 miles to make the appointment. Obviously I will not consider this dealer again. Car sold before I could test drive. Representative at Dealership was prompt in following up. How else can you describe bad service? Spoke with a woman from the Internet sales team whom made me an appointment with one of the sales managers. I proactively looked at the inventory. I arrived at the time of my appointment and his first question was, "Why are you here?". You can't make this stuff up. It got worse from there, but I think you get the point. Gave all the in formation I needed. They try to act like they are responsive but it was a pitiful performance. They would call and send emails but they were not responsive. The told me they had a vehicle I wanted but never arranged to let me see it. Somebody needs to be fired. Excellent customer service. Very friendly staff. Would definitely recommend. Purchased vehicle from these guys.